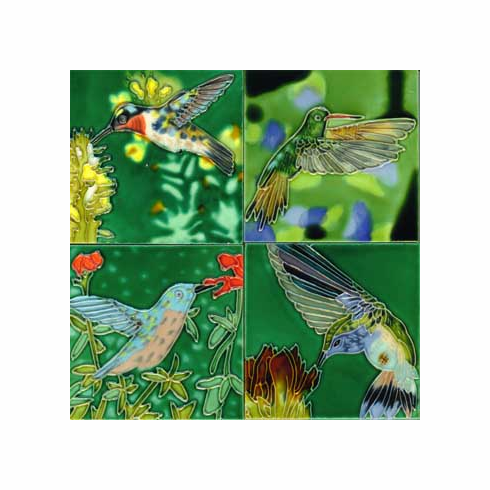 Hummingbird Tile Coasters, Set of 4 - Delightful images of hummingbirds in flight grace the surface of the Hummingbird Tile Coasters. Rubber feet added to protect your table tops or display them on your wall with the built-in hanger. Each coaster measures 4" square.